The Ivory Coast international has been in-and-out of the starting lineup under Ole and last weekend's clash against Leicester City was only the second time that he had started a league game under the temporary manager. Despite this, Ole has offered the defender with assurances of regular gametime in the forthcoming months and the centre-back could feature in the big matches against Paris Saint-Germain and Chelsea, The Sun claims. 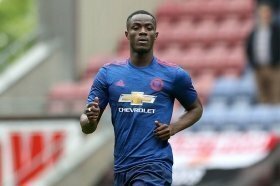 Bailly's current deal with United is due to expire at the end of the 2019/2020 season but the club don't seem overly concerned by the situation, given they have the luxury of a two-year extension clause. He has been widely predicted to form a long-term partnership with Victor Lindelof at the heart of the midfield but that has certainly not happened to date with concerns regarding his fitness and form every now and then.